Beautiful Marbella Model. This corner home has privacy as well as charm. Completely tiled throughout the home. Granite and glass back splash in kitchen and buffet area. Lots of storage space in the home as well as in the garage. Freshly painted inside. Newer appliances as well as newer roof, etc. Has a large screened in patio in the rear as well as a screened in area in the entry of the home. 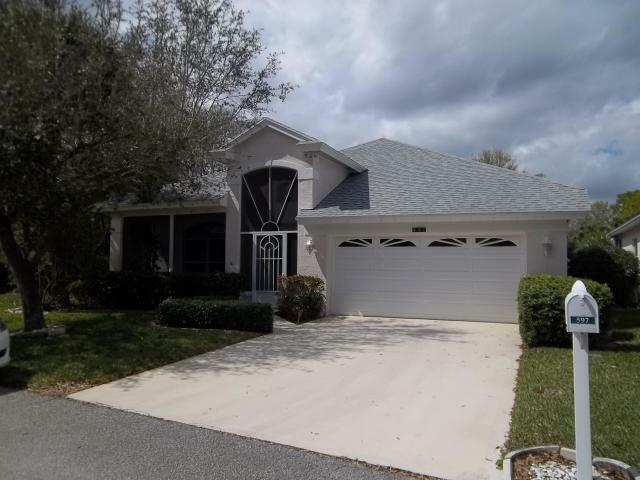 This home is a large true 3 bedroom 2 bath home. Very active community has 50 different clubs to choose from.